August arrived – Fly fishing challenging! With the specifics of hot months like August, fly fishing needs to adapt in some way.. early morning waking up is a must if you want to land sth. larger either Trout or Brownie! they are out early in the morning when the levels are still fresh and the sun not out yet. Fauna fly shop will be advising you about the river choice and areas of the river which will enable you some better chances either if you fish dry fly only or both – dry and nymphs. feel free to contact us any time! 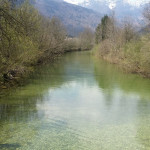 July is here and for the big joy of the fly fisherman the levels of the rivers are still fine for nice dry fly fishing! 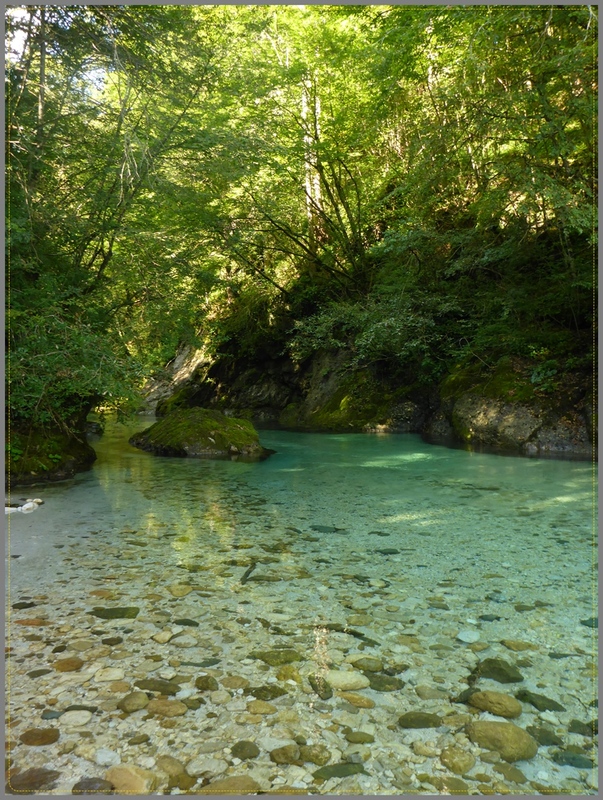 Since the presence in the Faunaflyshop occupies me on most of the days, I can just make short visits to the nearby rivers, with the intention to check what is hatching and what not anymore hope you enjoy the short video clip… stay tuned, more will follow soon! 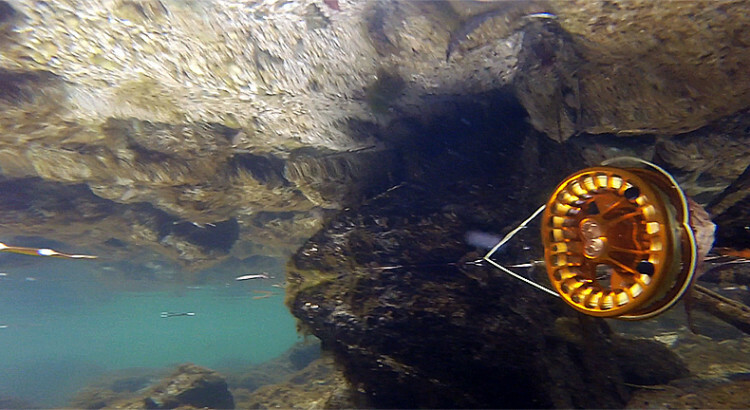 From the theory of the water levels to the practice of fly fishing them! 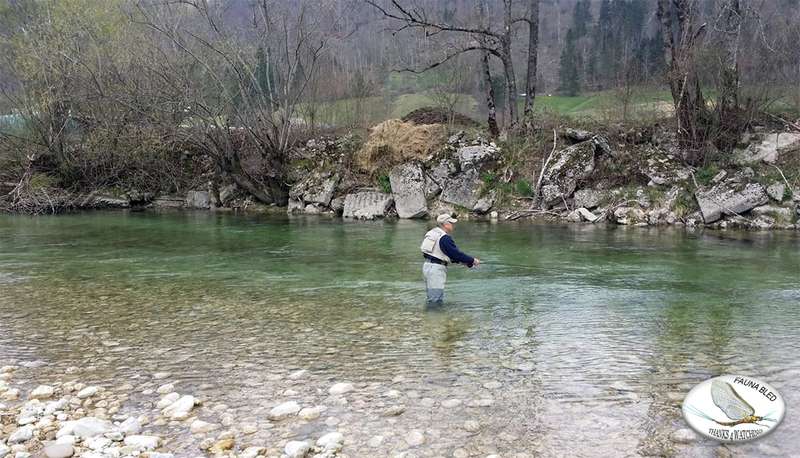 Yesterday`s post talking about the levels and river Sava Bohinjka conditions, this one about the practice we all want to do – the Fly fishing!! 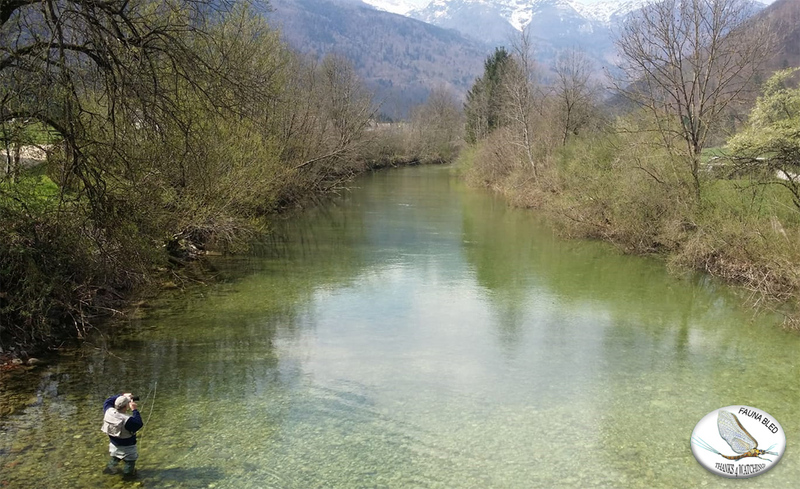 Nosing with the camera catching few nice moments out there in the lovely green spring time scenery of the Sava Bohinjka river! 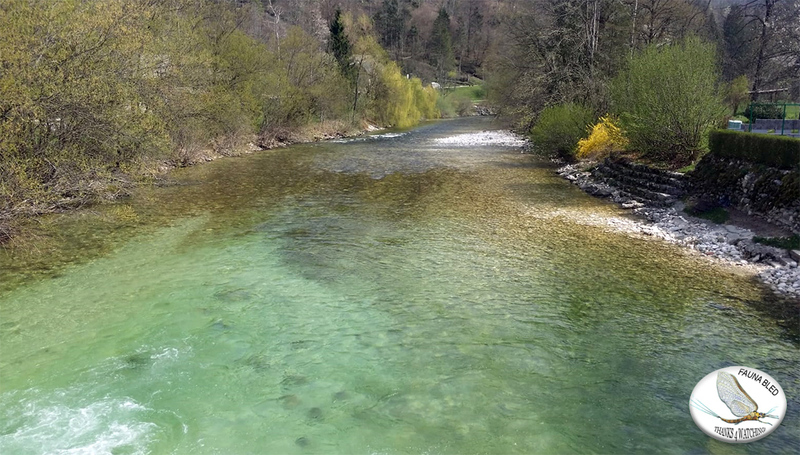 This questions rings in our phone all day long – but the answer is not an easy one.. at the moment Sava Bohinjka river is for some anglers fishable for the others still too strong in current. We can not be deciding for you either is ok for you or not. All we can do is to show you the river and tell you that the fly fisherman are already fishing it. At the same time, some are still waiting for the levels to drop.. in which group you fit? 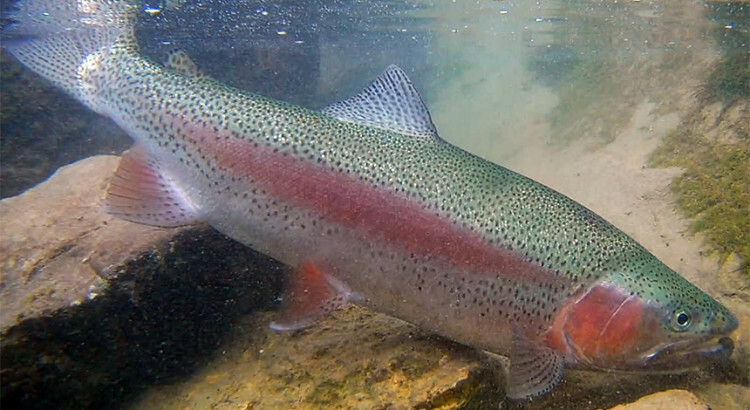 Trout and Graylings are active and feeding, hatches are following after every shower (those are frequent) but evenings yet not having the classic hatch moment.. this year the season is like 4 weeks behind the normal fly fishing calendar. Let me conclude like this: If you only fish with dry fly, than you will suffer a bit since the currents are strong and the dry flies get flashed away fast. If you will be following the happening on the river you might catch a hatch minutes but it might be griffins gnat, emergers or ephemeras on #10.. no rule yet. 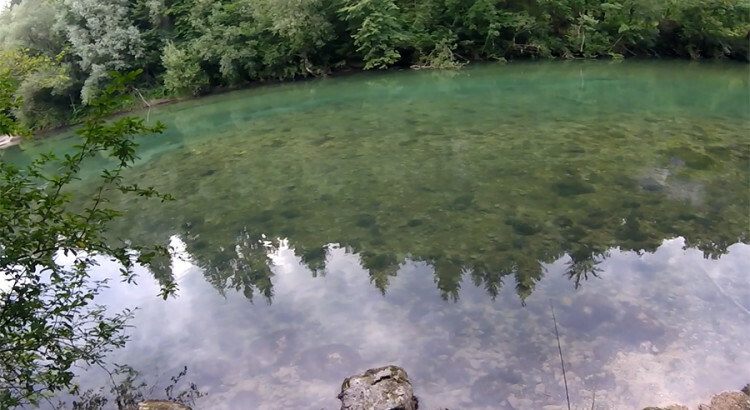 If you fish nymphs dries and some times streamer, than you are safe to come and you will be catching too, but have a rain protection with you..
Sava Bohinjka May 16th from Fly Fishing in Slovenia on Vimeo. Explore and discover most hidden spots! Meet the spots you had been dreaming of! 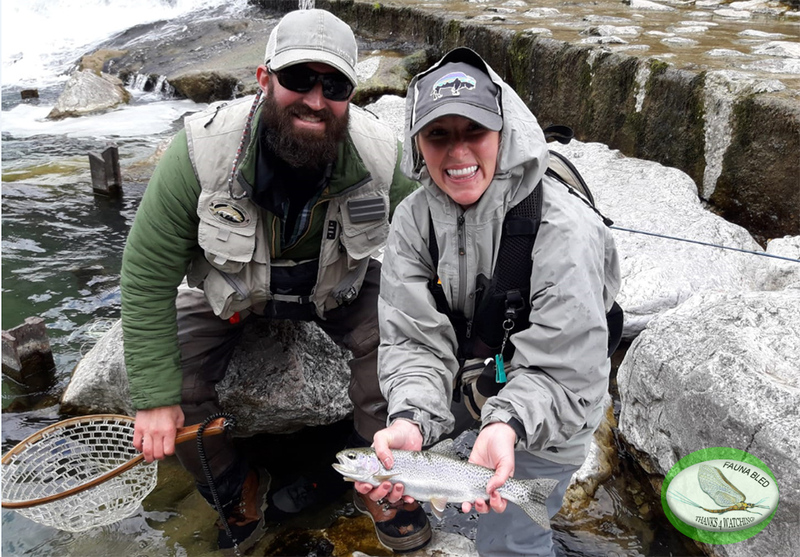 The close area of Fauna Fly Fishing Lodge offers many hidden spots where you can track down some wild fish and meet the challenge of getting a selective grayling on a dry fly! 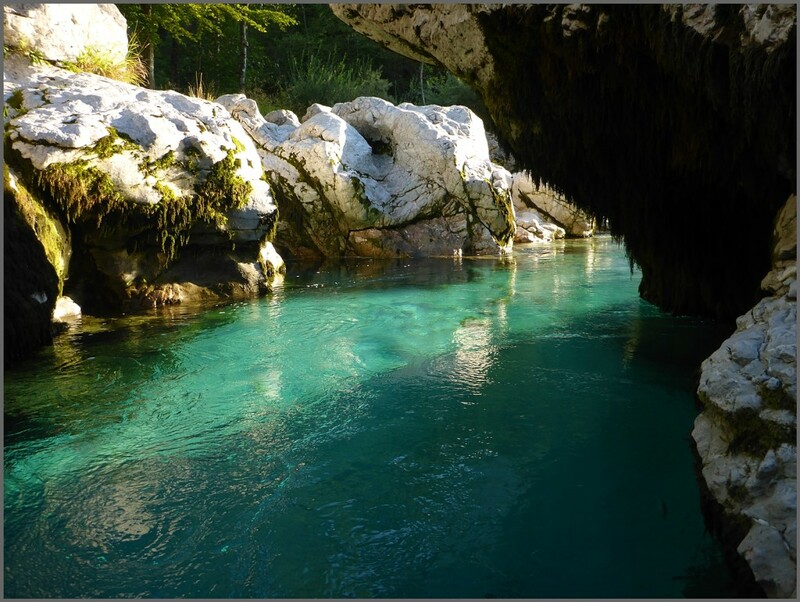 Fly fishing in Slovenia Welcome! 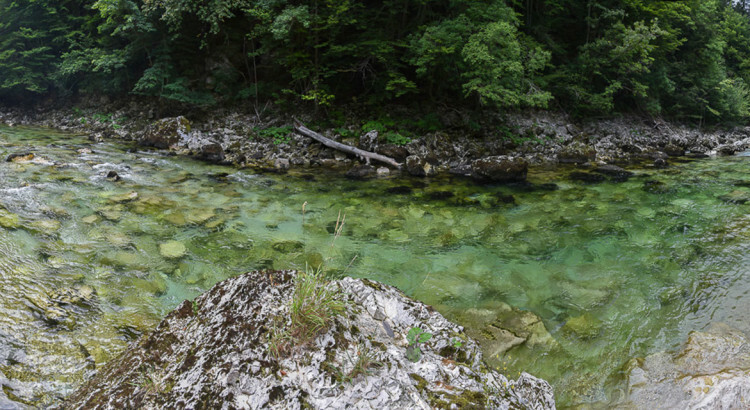 Fly Fishing in Slovenia has never been so close to you! 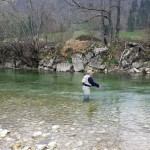 Our Fly Fishing Team Slovenia which represents the Fauna Fishing Bled, extends a warm welcome to you. 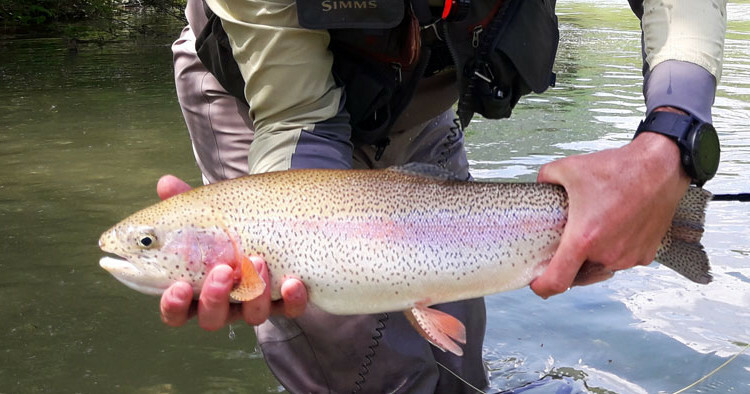 If you are in search of superb Grayling, Brown Trout, Marble Trout or a common Rainbow trout, fly fishing on crystal-clear Slovenian rivers like the Sava Bohinjka, the Radovna or the Soca and Idrijca, you have come to the right fly fishing page. Feel free to browse through all the information we offer. 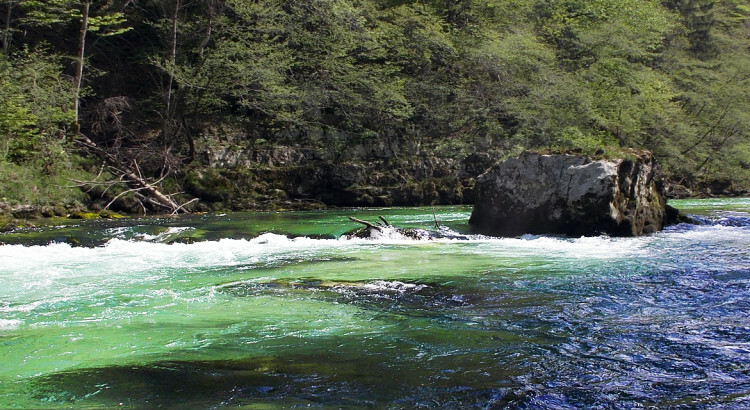 Fire your imagination and then pack your rods and come to Slovenia to experience fly fishing paradise for real! 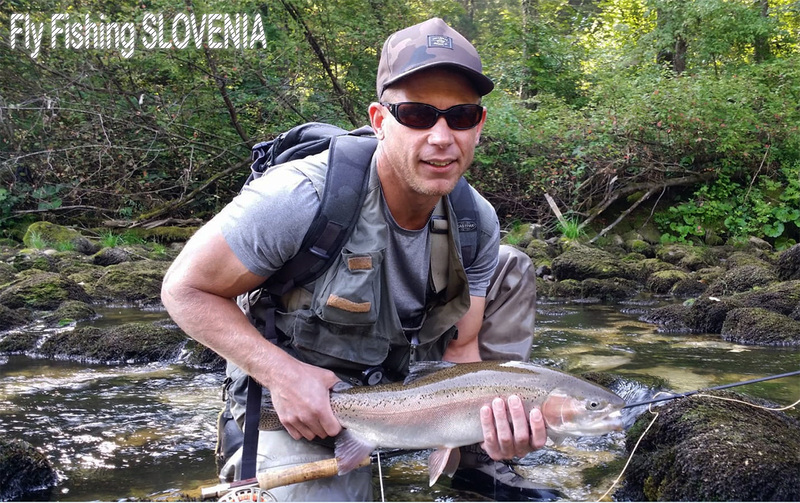 Should you need help, our Slovenian fly fishing guides will be happy to look after you and provide all you need for a fantastic day fly fishing for trout, grayling or marble trout! Do not hesitate and contact us with either fly fishing question you might be having.. Fauna Bled Fly Fishing team will do our most to provide you with a helpful reply as soon as possible! We look forward meeting you in person one day!